extended exhibition hours from 5 to 6 p.m. Admission is free, but reservations are encouraged. To register, email wrc@hnoc.org or call (504) 523-4662. 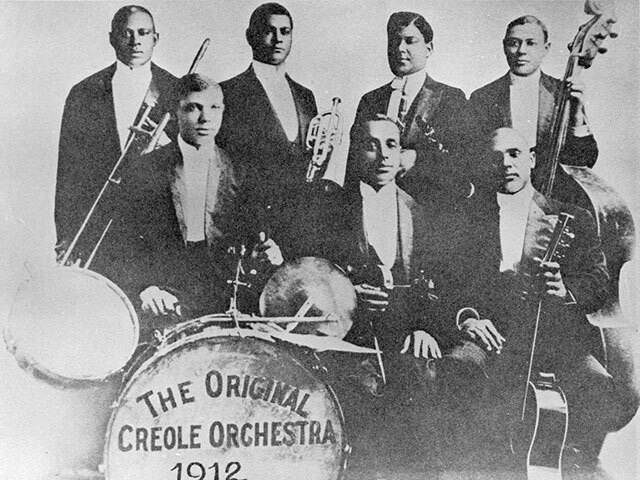 During in the 1930s and ‘40s, a number of jazz studies associated an exodus of jazz musicians from New Orleans with the closing of the Storyville red-light district in November 1917. This assumption eventually became canon in the popular history of jazz, but recent scholarship of the genre’s early days has started to revisit the story. On Wednesday, September 27, jazz historian Bruce Boyd Raeburn digs into the history surrounding this myth in “The Storyville Diaspora Revisited,” a free lecture at The Historic New Orleans Collection. In this presentation Raeburn will trace the circulation of jazz musicians in and out of the city before and after November 1917, to illustrate that the closing of the District was essentially a non-event with little impact on the lives of New Orleans jazz musicians. Raeburn is director of special collections and curator of the Hogan Jazz Archive at Tulane University. He is a specialist on New Orleans jazz and jazz historiography and the author of New Orleans Style and the Writing of American Jazz History (University of Michigan Press, 2009). This lecture is presented in conjunction with THNOC’s exhibition, Storyville: Madams and Music, which guides visitors through the rise and fall of the neighborhood that helped shape the notorious reputation that adheres to New Orleans today. The exhibition will open one hour prior to the beginning of the program for extended viewing. Please note, any unclaimed reservations will be released 10 minutes prior to the start of the program and given out on a first-come, first-served basis.